The Facebook effect is getting closer than ever. Facebook has introduced a new location-based advertising method which allows small businesses to target nearby smartphone users. By defining a radius of geographical reach, stores and restaurants could use Facebook's new "Local Awareness" ads for extremely focused campaigns. The scheme could have wide implications across the media industry if small and medium-sized businesses find this to be an effective marketing tool. Facebook claims to have more than 30 million local-business page owners, and will use this new ad category to try to convert these establishments into location-based advertisers. This sort of geographic-targeted advertising isn't entirely new, but Facebook's extensive industry coverage would allow small businesses to utilise user profile information and history to enable a nearly unmatched reach. Facebook will have significant advantages over other forms of media (especially local newspapers and flyers), and claims that its Local Awareness ads are more cost effective than traditional advertising channels. The company will be competing for local ad revenue with the likes of Yelp and Google's My Business pages. 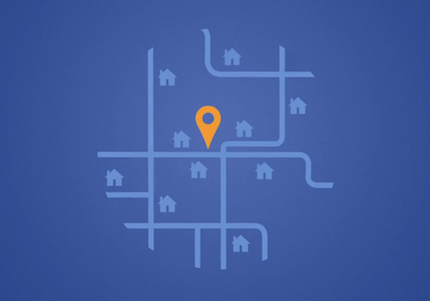 Facebook's local push comes at a time when location-based deals have become a phenomenon. Companies including Amazon, eBay and Groupon have been applying detailed user data to create ad campaigns for local business through apps and e-mails. Local ads and other location-based services (like beacons) are on their way. Facebook's radius of influence is growing wider as it gets closer and more personal.